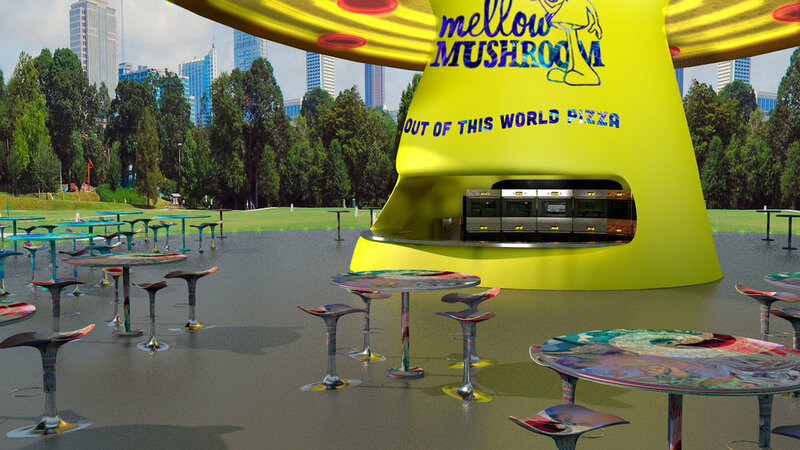 Sure, Mellow Mushroom makes great pizza. But what’s pizza without beer? Incomplete, that’s what. 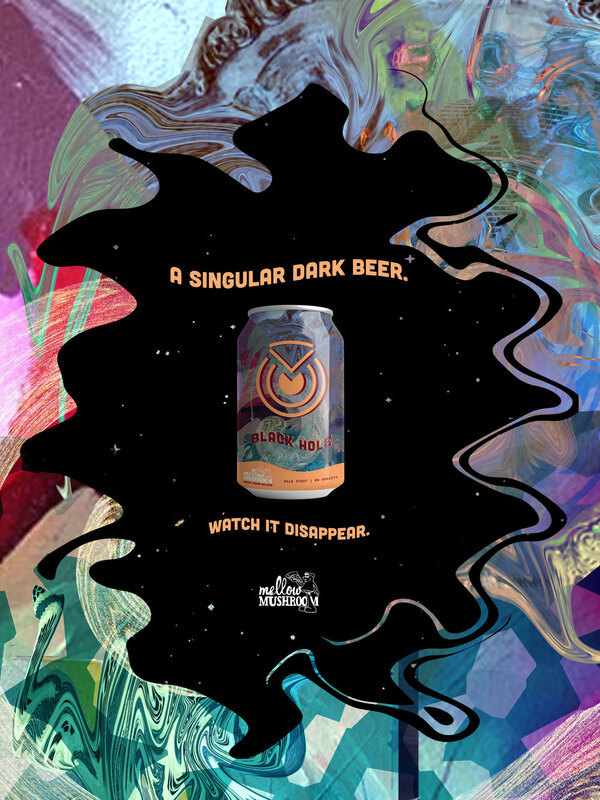 We designed a line of craft beers specifically designed to pair with Mellow Mushroom’s signature pizzas. 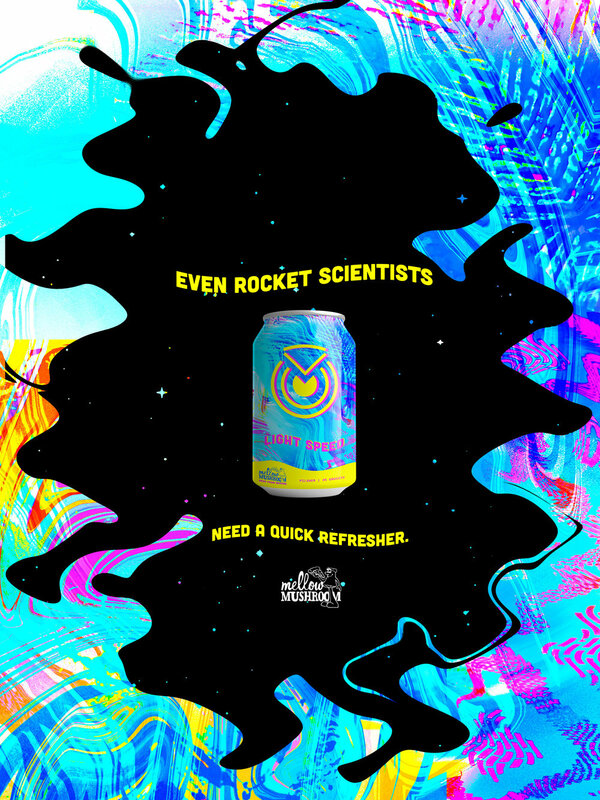 Out-of-this-world pizza meets beer from beyond. 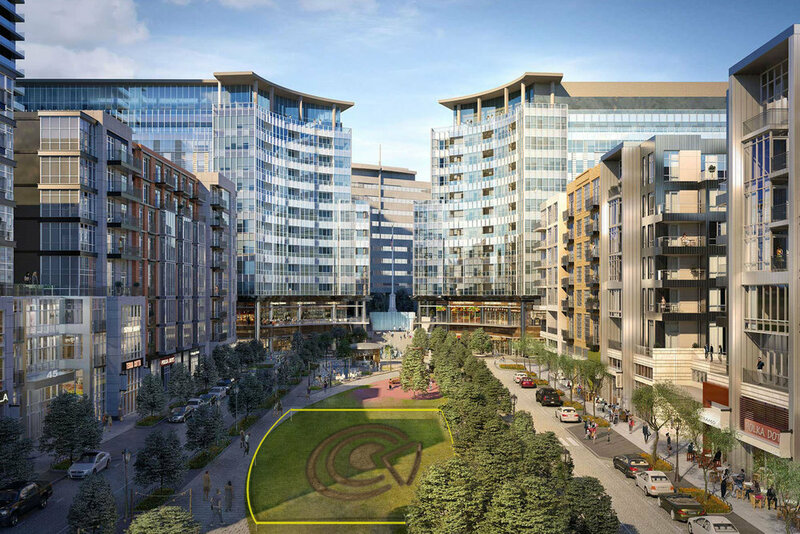 A cryptic symbol will appear in random locations around the city of Atlanta in the days leading up to the launch. Make sure you’ve got your tinfoil hat handy. 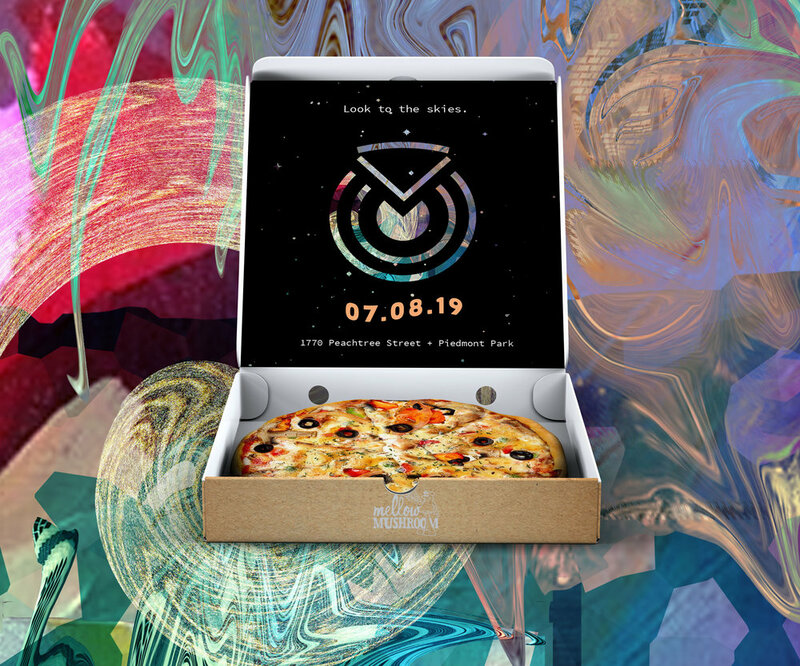 The symbol will appear overnight at Mellow Mushroom locations. 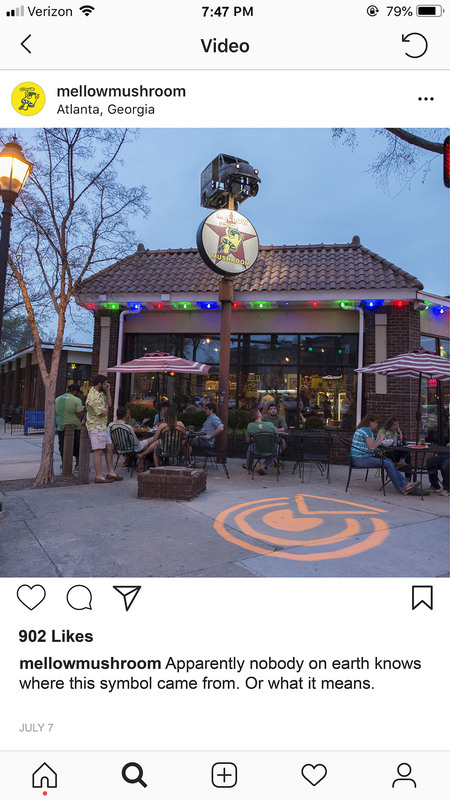 Managers of each location will take to social media to publicize the mysterious glyph. 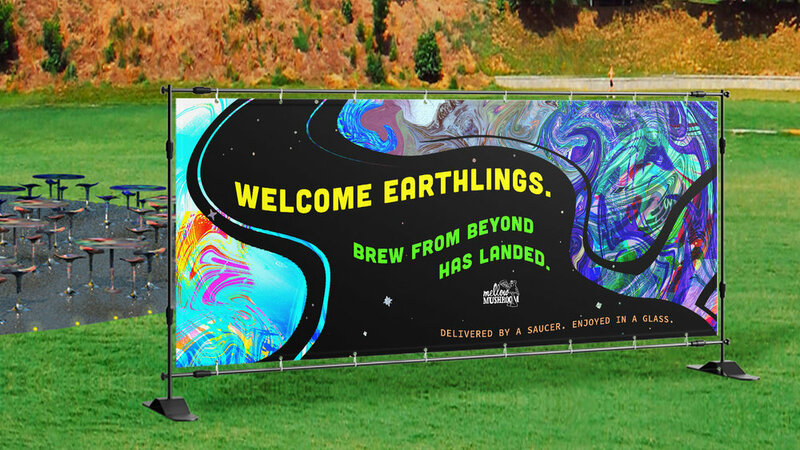 Mellow Mushroom digital billboards will “glitch” to a message from beyond. Televisions in Mellow Mushroom restaurants will periodically malfunction as if a signal from outer space is interrupting transmission. 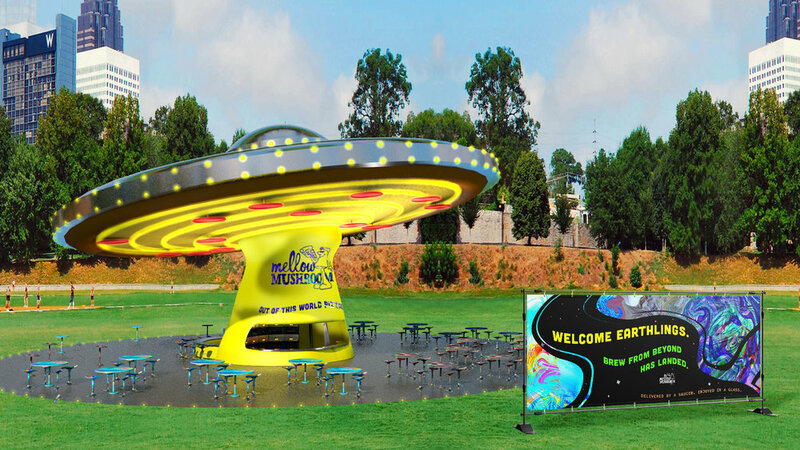 It’s like a UFO collided with a giant mushroom. 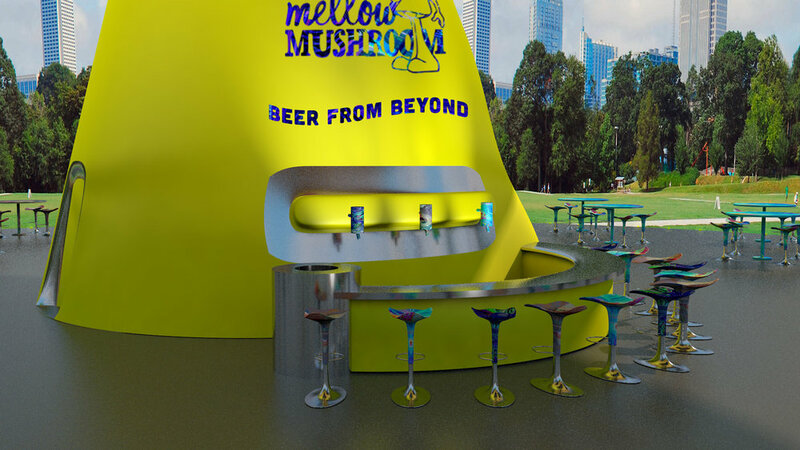 This installation would serve both pizza and beer, and would appear on the launch date of the beer in Piedmont Park, Atlanta. Walking around the perimeter of Piedmont Park will be actors hired to play end-of-the-world fanatics.